The FT-1 Flip Table flips doors weighing up to 125 lbs. with a maximum width of 3’. 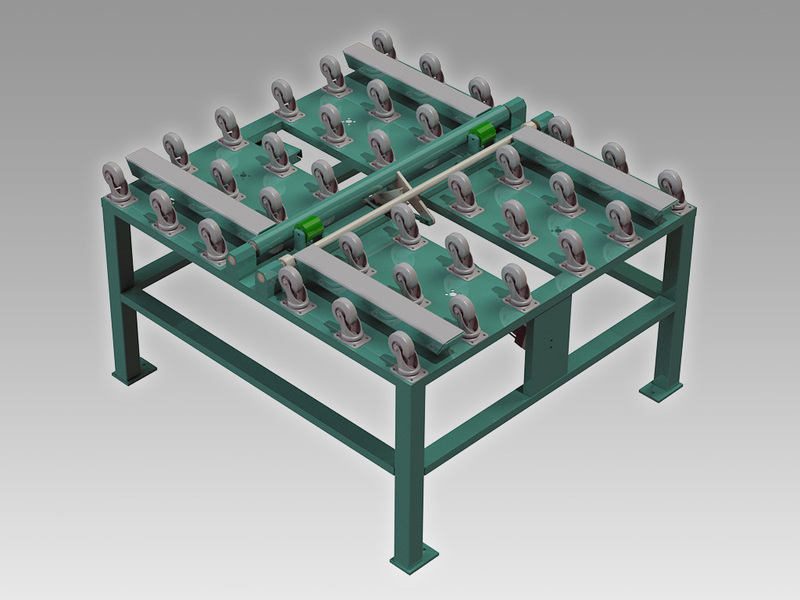 It can be used either as a remote workstation for edge sanding and other finishing operations or as an in-line machine for inspection or rotating doors to get the bevel right side up for further processing. The FT-1 features a caster bed and two pair of lifting arms, which work together to bring doors up and over. Device is foot pedal operated with pneumatic controls. Larger cylinder and longer lifting arms for doors up to 4' wide/200 lbs.